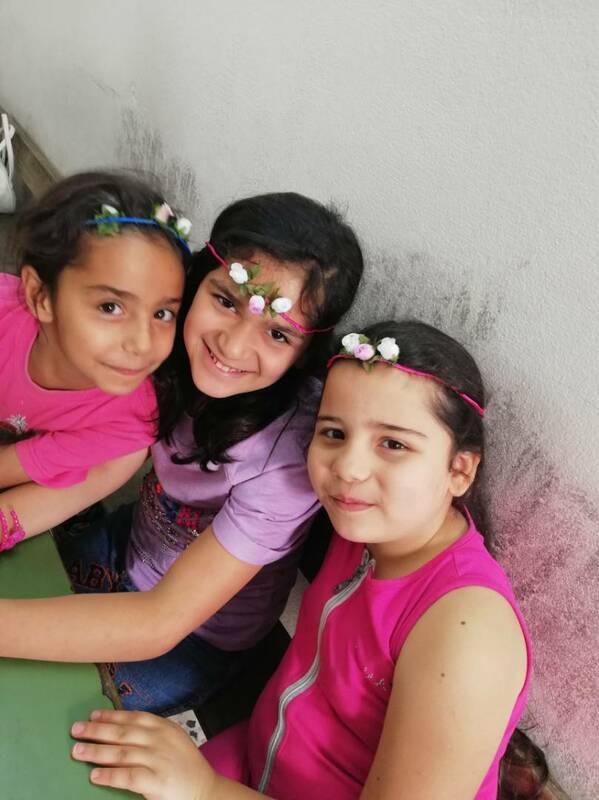 In Syria, an after-school program to share hope, overcome fear together, and start afresh. Aleppo and Homs are about two hours driving away from each other. As he cannot cross near Idleb, a region under the control of extremist groups, Robert must go eastwards, in the direction of the desert. For this, it takes him twice as long to reach his community and the after-school program. The name of the Center, which opened two years ago, is “Generation of Hope“. Robert, AFN‘s contact for child sponsorships, tells us that this center is really a reason for hope to children, to overcome fear together and start over again. The city of Homs is one of the first cities destroyed by the war that began in 2011. Although liberated by the regular army at the end of 2014, many families ran away and find it very hard to get back to normal life, because of the lack of human and economic resources. More than a hundred Muslim and Christian children from the Bab el Sbaa district attend an after-school program. The Centre provides them love, support, and school follow-up. They are 6 to 12 years-old children who are deeply affected by suffering, traumas, and death. Many of them had to leave everything, including their homes and loved ones. Most children suffer psychological, language, learning, and behavioural trouble caused or amplified by the consequences of war. Rahaf did not want to study and he often ran away. Faraj is a sad child. He stands on the side of the courtyard. Loafing around, he just watched the other children playing until slowly, thanks to a psychological therapy, he was able to share his suffering caused by his father’s disappearance, six years earlier. Some children were apathetic, they had no interest in their classes, but slowly they are coming to life, accompanied by the operators of the Centre who, after evaluating their personal skills and possibilities, stimulate their attention and participation. Other children are aggressive, they have problems of self-acceptance and find it very hard to build positive relationships. Samira and Latifa, for example, have been fighting ever since their arrival. The team worked with them on the acceptance of diversity, valuing the positive aspects of each girl. Gradually they became friends, and now they sit at the same desk and help each other with their homework. Some children have problems of dyslexia and delays in learning but, thanks to individual support work, we can see improvements in all children, even in those characterized by very complex conditions. “Positive results can be seen not only in learning but also in the psychological and relational aspects,” says Sandra Fares, a member of the New Families Movement, who launched the after-school program and is now its director. “We want to welcome and really help all these children, through a team of teachers and experts who, in a family atmosphere, using a methodology based on dialogue and the promotion of values, carry out a program to meet their needs, help them rebuild trust in themselves and in others, and strengthen positive patterns of behavior”. The after-school activities are held in the premises of a private school that belongs to the Orthodox Church, and it includes the classrooms on two floors and an outdoor space for games. In the afternoon, in addition to the after-school follow-up in the various subjects, from the first to the sixth grade, various activities and workshops take place. The children’s favorite subject is called, “Life Lessons.” “During the hour of Life Lessons, they feel comfortable and learn many useful things – says Sandra –, such as how to share their talents, how to face challenges positively, and how they can be an example to others.” In a creative way, the children explore human and spiritual values, they learn how to live in society, what human rights are, what does it mean to respect others, but also how to live in the family, or how to manage friendships. 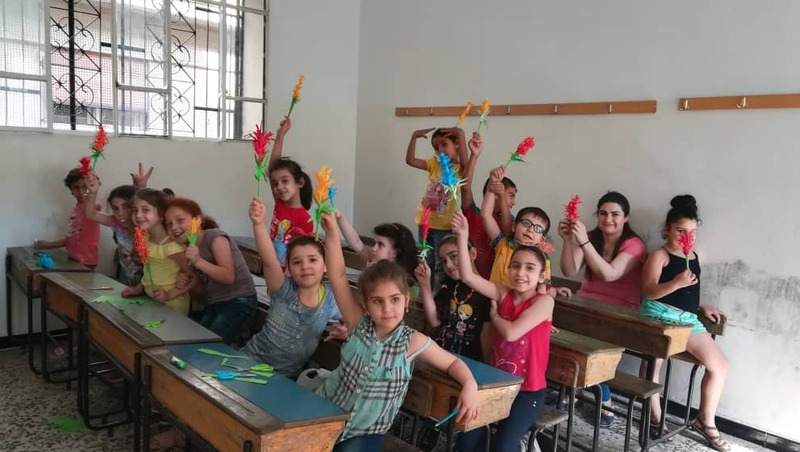 The Homs after-school program is one of the projects supported by the “Syria Emergency Program” carried out by AFN (Action for New Families Onlus) in collaboration with AMU (Action for a United World) and the Focolare Movement. “The children are happy to go to school and they are sensitive to the love they receive. Most of the times, their families are dispersed because of the war, but here they regain the desire to start afresh and find new hope,” says Robert, reminding us that every solidarity initiative aimed at supporting the Project is very important for these children. “We hope we can go ahead with the program and continue the after-school activity year after year. The children arrived with so much suffering in them. We welcomed them as families do, offering them all our love and support, journeying together step by step towards peace.” “I would like to thank all those who helped us to live this extraordinary experience that brought a small ray of light into the hearts and lives of the more than 100 children of Homs,” Sandra concludes.